I didnt fix the problem but I did reduce its time expenditure. I went into the notification section and clicked on "all settings" then "gaming." Once there, I went to "Game DVR" left it on but unchecked "Open Gamebar using this button on a controller "
"Game DVR" > turned all options to off. If this above post doesn't help you, check to make sure you are running the game as the same resolution as your own native Windows Desktop monitor. Sometimes changing between resolutions(Like changing for 1600x900 to 1920x800) can cause your screen to blink, or at least it does with mine. Just got an update to my ticket...support has found a fix to the flash to desktop issue...yay!!! It's not rolled out yet, I imagine they are testing and they said they will roll the fix in a patch update. No firm timeline yet. Great work from support. Now just waiting on the patch. Oh my.. This is wonderful news! Thankyou. Looks like you guys already heard, but I come with good news! There's some excellent progress being made on this issue. I can't really give a timeline yet, since we're still trying to hammer down the best way to go about resolving it, but we're getting pretty confident that there's a light on the horizon, so keep your eyes on the patch notes going forward. As with a lot of things, you can now keep track of the status of this issue on the Known Issue Tracker. We worked with some wizards around the office to get this thing updating automatically as we work through things, and I was able to stick this issue on there for you all to keep track of it easier. Focus Assist has been discussed extensively upthread. It might fix it for some, but generally, turning it off appears to only shorten the amount of time you're on the desktop before returning to the game. It's better but not a global fix. Sorry...didn't mean to steal your thunder...was just excited to hear the good news...thank you and all on the support team for figuring this out. Really appreciated! Maybe you could add a note to the page reminding folks of that. Near as I can tell, a lot more people visit the curated tracker page than will notice your comment above. PS thanks for taking the time to let us know you're making progress. PPS and wow, well done on starting to automate the system. I know it can be incredibly challenging to have a customer-facing progress report that doesn't over (or under) state progress for issue tracking. Good work by whoever did the leg work on that. I'm looking forward to making good use of the tool going forward. How you fix the problem? Read the post above by @GM Magister.8736 : they have a handle on the problem and are trying to work out the best fix. It will be fixed when it's fixed (and they don't yet know when that will be), but in the meantime, you'll have to put up with it. I have this too! Ever since of the new Windows update, it's so annoying! Does anyone know how to get rid of it? It's just only GW2 too… no other games does this to me. Edit: Just read @GM Magister.8736 comment, glad you're working on this, guys! All that does for me and many others is to make the flash shorter. It does not eliminate it. Anet is testing a fix for this issue. Not just GW and GW2, though. There's a video in this thread (or another thread, if not merged) regarding this issue with another game. having this problem as well. UPDATE: 06-12-18: Applied W10 June patch updates. No improvement. Still have flash to desktop issue. Don't expect a WU patch to fix this. Wait for the game patch that a GM mentioned in this thread. And y'all drive on the wrong side of the road too. I don't...and I've been working with support for a couple of months on the issue now, which you'd know if you read my earlier posts.. Just updating an environment change. What americans drive on the left like the english people? After the latest windows update (Was forced to, unfortunately) ' Windows 10, version 1803', GW2 is now minimizing on me during every. single. loading screen. Hope this helps GW2 team. Why is this marked as "solved" in the Known Issue Tracker (dated 6/13/18)? It certainly is not and there has been no change at all since it appeared with the 1803 update. 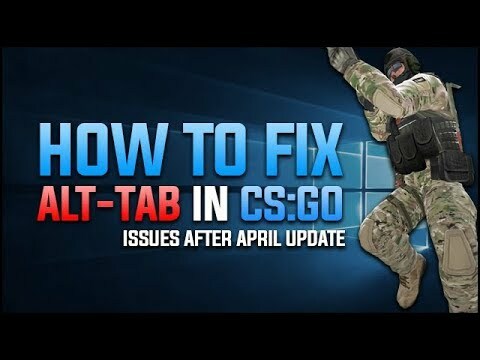 Maybe a 'fix' will release with the next patch? Or, since the KIT is now automated, it's a 'bug'. Then it should say something like, "fix awaiting implementation" or something similar. Solved is pretty definitive and does not stop someone from thinking there is something wrong with their system, when the fault lies elsewhere. The last A-Net post about 10 lines above stated a fix was being worked on. That is not the same as "this should no longer be happening to you", which is what "solved" suggests. Yeah man I know it's a bit confusing and misleading but hey think of it as "solved" since the gm did already mention the fix for this issue so perhaps they flagged it as solved? Because who knows when the fix will come. So until then in order to avoid more and more people to request a solution, they marked it as solved. No change on this for me with the 6/26 patches. Focus Assist on is terrible. Off is the micro flash every map change. Not listed in the patch notes, but that is clearly not definitive and we don't know whether it was implemented and doesn't work or it did not make the patch. Sort of underscores the point about the way the information is communicated. Obviously they have bigger problems at the moment. Did a long postponed Windows April Update two days ago, now I have the flashing desktop problem. No issues before. However, no actual tabbing out. Focus always stays on the game and I flash back in automatically. Different graphics drivers make no difference. I mean, I don't particularly mind, it's just weird. I did a postponed windows update yesterday, and since then I have been having the '1 sec desktop flash, or alt-tab' every loading screen. I've played GW2 for well over a month, and have never had this issue! Have not tried the focus assist thing, but will later today. Anyway, any update on this matter? I see a GM posted about a solution being under way, but still nothing a month later? This bug has been marked as "solved" in the Known Issue Tracker since weeks but it has not been solved in the game. When will it be really solved in the game? I also updated windows 10 a few days ago and am having this problem. Is this still being looked into? It says it was solved last month, but I've been having this issue the last few days. Is there any chance of an update? Mind linking where in known issues this is at. I have gone over it several times and it's nowhere to be found. Game is now getting stuck when it flashes to desktop and then becomes unresponsive. Either it will crash or you have to for close it with Taskmanager. I am really annoyed with this now. It's been going of for too long. I just bought WoW Legion, and Battle for Azeroth because I haven't been able to play the game for 2 months. "Solved" is an optimistic way of describing it, i just got this issue as well. Same story pretty much, late windows 10 april update and now alt-tabbing in loading screens. Hopefully, they will be able to release the 'fix' in one of the upcoming patches. Just logged in today to do the new story. Getting the same issue. I also recently updated windows 10. It's pretty annoying. Edit: If you play in windowed full screen it doesn't happen.